Composing a good tweet is something of an art form, and Twitter users always have to keep in mind the limitations of their medium of choice when composing messages: how do you properly express yourself while coming in short of Twitter's 140-character limit? If you're planning to enhance that tweet with a pic or a link, that limit becomes even harder to work with, as that added content counts against your length. That may not be the case for much longer, and a new report suggests that Twitter's about to make a big change to the way it calculates tweet length. The change would be all about how Twitter deals with links and images. Right now the service already attempts to mitigate their impact on tweet length by automatically shortening links, but the inclusion of either links or images still takes away some of those 140 characters you start out with; as a result, tweets containing either are forced to be slightly shorter. Embedded images would no longer count against tweet length limits. But now this rumor claims that within the next couple weeks, Twitter will implement a new way of counting post length that no longer factors in links or pics at all. That means that you'd be able to use the complete 140 characters each and every time you tweet, irrespective of any additional image or link tacked on to the end. For even a simple link, that means freeing up an additional 23 characters – and in Twitter's tight space constraints, those 23 extra characters can go a long way towards making tweets more readable or even more entertaining. 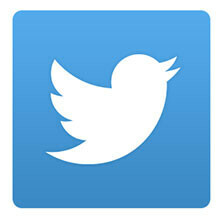 Twitter CEO Jack Dorsey recently stated that the company wouldn't be doing away with its famous 140-character limit. By changing how those characters are counted, as this rumor suggests Twitter's about to do, the service may have found a sly way to stay true to its word while effectively raising that limit for many tweets. Very nice I have been waiting for this for years. Nice to see twitter is moving forward with this. It would also be nice if they increase the video limit from 20 seconds to 30 seconds. Who the hell uses twitter? I never do never did. Around 300 million around the world. An increase of up to around 160/170 characters might be ok. I don't want to see essays on Twitter the way I do on Facebook. That's total BS. They can simply add a drop down or more button.